Newton’s True Inbox reinvents the way you do email. Awesome email app Newton has killed off the “Sent” folder to make email as easy as instant messaging. When using Newton, your sent messages now appear right inside your inbox alongside everything else, making it easier than ever to keep track of your conversations. Here’s how you can start enjoying this new feature today. 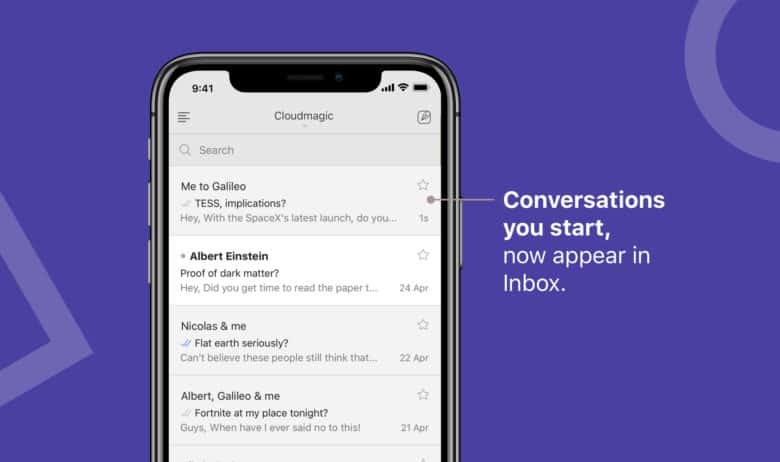 Newton, formerly known as CloudMagic, has long been one of our favorite email clients on Mac and iOS (it’s also available on Windows, too). That’s because of its clean and simple design and a plethora of features that make managing your mail quick and simple. Newton’s latest change, the True Inbox, hopes to reinvent the way we do email. It’s a small but significant change that makes keeping track of your most important conversations as easy as using iMessage. Typically, when you send an email, that message disappears into a folder of its own. You must track it down if you want to read it again or find out if it’s been read. It’s a fiddly process — especially for those who manage multiple email accounts. Some people used workarounds for this problem, like copying themselves on emails they send, but those “solutions” were just as cumbersome. Now Newton has a real fix. True Inbox kills off your “Sent” folder for the better. Instead of forcing you to hunt down the messages you’ve sent, it puts them right inside your inbox alongside everything else. This makes it easier to see if those messages have been read, and to keep on top of your replies. You’ll need Conversation View enabled to use True Inbox, and it will only work with new messages — not those you sent prior to installing the latest update. Download the latest version of Newton from the App Store and Mac App Store now.